Common baby's breath is native to Eastern Europe and Western Asia and was most likely introduced to North America as an ornamental in the 1800s. 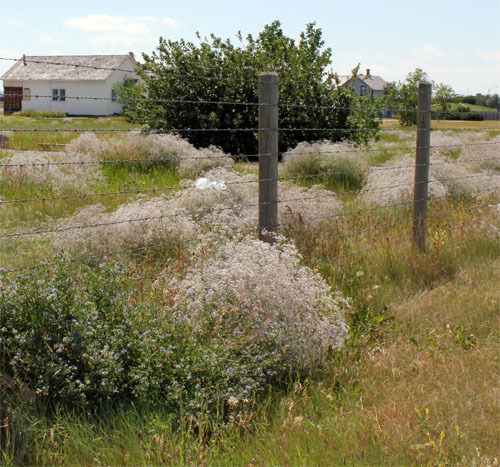 Common baby's breath has escaped cultivation sites and invaded pastures and rangeland where it alters habitats and reduces native biodiversity. This weed has small white flowers that are only 3-8 mm wide. 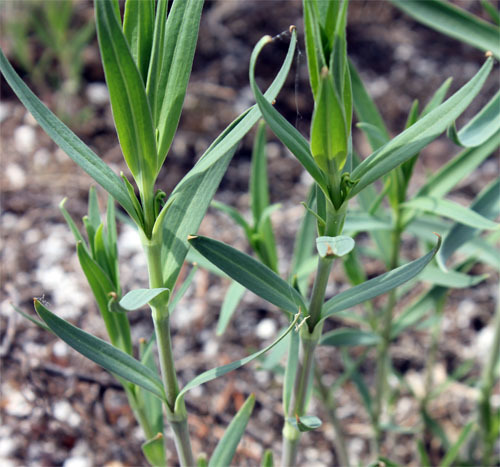 The linear to narrow lance-shaped leaves are oppositely arranged along the stem. They are 2-10 mm wide, grey-green in colour and covered with a white powdery film. 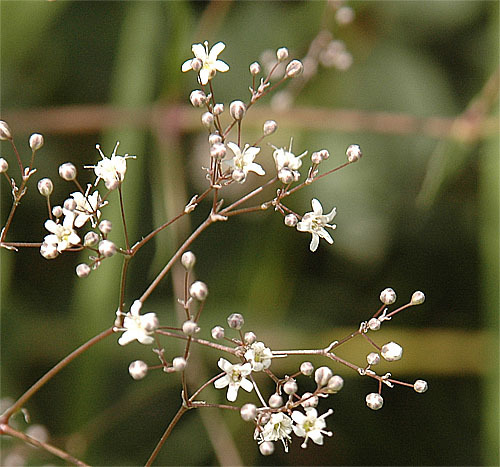 Common baby's breath is highly branched from the base of the plant giving it a bush-like appearance. It grows up to 1 m tall.